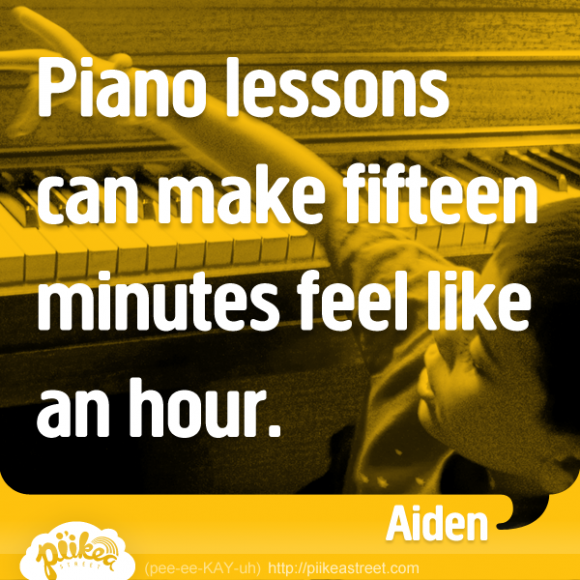 Piano lessons can make fifteen minutes feel like an hour. | Pi'ikea St.
We can all recall those little moments when our children have said the most awkward, cute and funny phrases. To honor those little moments that made us giggle, we’ve complied a collection of our favorite things kids say. We hope they make you smile!